Last month, the so-called Boycott, Divestment and Sanctions movement celebrated its 12th birthday party. I have always considered BDS as a Zionist diversion front to fool the nine million Palestinian to end their rights of armed struggle against the Jew terrorists occupying their ancestral homeland since 1948. Israeli-born British author, Gilad Atzmon also agrees with my opinion. And so does German philosopher Ludwig Watzal. So why I’m wasting my time on this dead horse? Well, it’s in response to professor Lawrence Davidson’s (West Chester University) July 28, 2017 article, entitled, BDS, Human Rights and the Jews, over BDS’s 12th birthday. 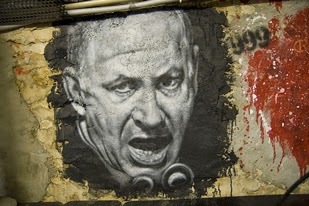 “Israel’s inability to keep a favorable public image does not necessarily mean its near-term defeat. Here in the US there are two reasons for this: (1) as obnoxious as Israeli behavior is, and also as obscenely massive the U.S. aid package that helps to sustain that behavior, neither the behavior nor the aid package is yet a prime voting issue for most American citizens, and (2) due to the resulting lack of political pressure from the voters, American Zionists still have a clear field to use money and other forms of patronage to pressure both the US Congress and the political parties to ignore the blatant racism and continue to strongly support the Zionist state. That support can extend to becoming Israel’s ally in the effort to defame and then try to destroy BDS. The argument that BDS is a modern form of anti-Semitism has become the backbone of an effort to make it illegal. As noted above, the BDS movement is not anti-Semitic. It is anti-Zionist, which in fact makes it anti-racist,” wrote Davidson. “Despite Zionist contention that Israel and the Jews are equivalent, we know that this cannot be literally true. Israel’s sins cannot be the sins of the Jewish people as a whole. At the beginning of this essay I indicated that increasing number of Jews are actively supporting Palestinian rights and thus opposing both Israel’s undermining of the principle of human rights and its erosive effect on the moral status of the Jewish people,” adds Davidson. However, the logic of the situation does make one thing literally true, and that is that the Zionist ideology, as it has evolved in practice, is a dangerous enemy of Jewish morality. As long as Zionism stands against human rights while at the same time insisting that Israel stands in for the Jews, it must be the enemy. Unfortunately, UK’s chief rabbi Ephraim Mirvis doesn’t agree with Davidson. The Zionist rabbi says criticism of Zionism is anti-Semitism. Obviously Jewish lobbying groups are very allergic to freedom of speech if it’s directed toward Jews or the Zionist regime. It’s a serious crime to challenge Zionist narrative of Holocaust in 15 European nations. To criticize the Zionist regime is a Hate Crime in France, Canada, Britain and United States. In France and Britain people have been arrested and persecuted for just wearing shirts with BDS logo. Israel lobby group AEI launched NGO Watch site in June 2003 to demonize so-called anti-Israel groups. On January 10, 2017, NGO Watch claimed that BDS has ties to terrorist groups which are supported by French government. If the idiot means Mahmoud Abbas and his Fatah group in the West bank – which is also supported by the US, EU, and even Shimon Peres.